I've been looking for a summer hobby that involves more than lemonade in my hammock while reading a great book. I mean, that is a great summer activity and all, cheap too. But with all that's been going on in my life lately I really wanted a great, engrossing hobby. 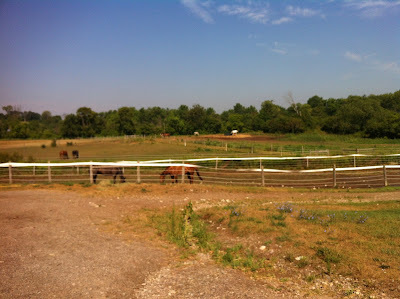 I'm an animal lover, I love to be outside and I'm also completely unsuited for any sort of physical sport more involved then an hour in the gym. I am the worst at sports, organized or solo. I always have been and I'm ok with that. 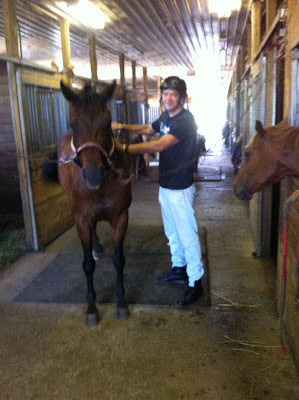 I gave it a good ponder, polled some people on the Twitter and decided that I'd take some riding lessons. 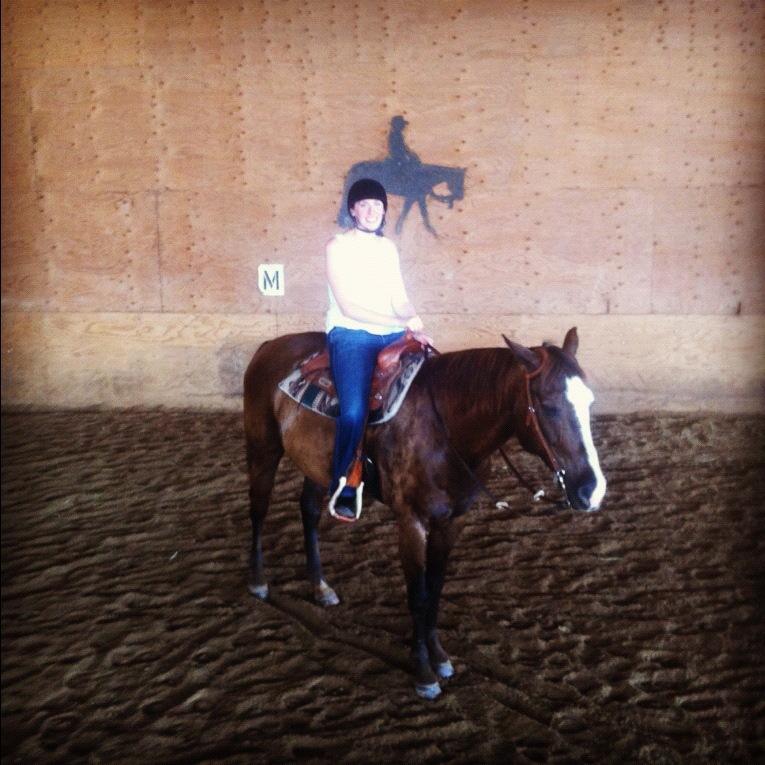 My aunt and uncle race horses for a living, so I've spent more then my fair share of time on a farm, but I've never done much riding. 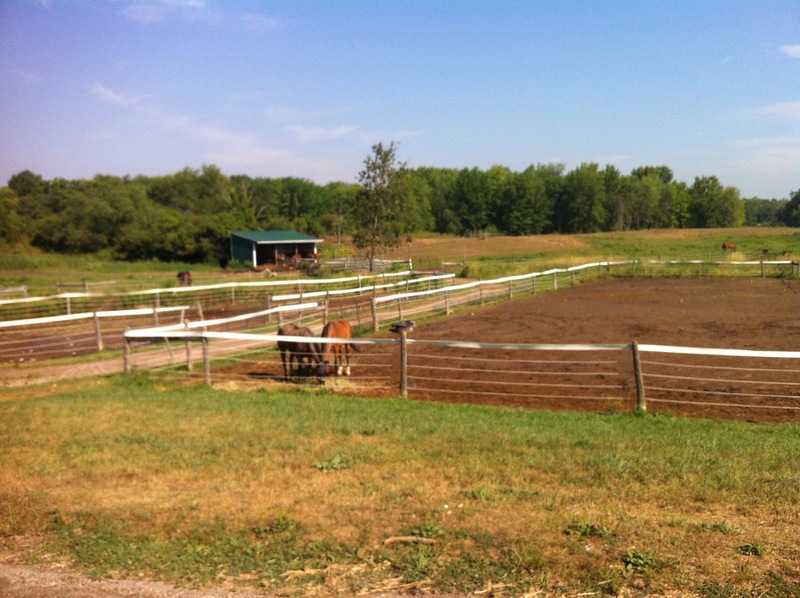 I asked around for some recommendations, and was pointed in the direction of Double J Farms in Freelton. 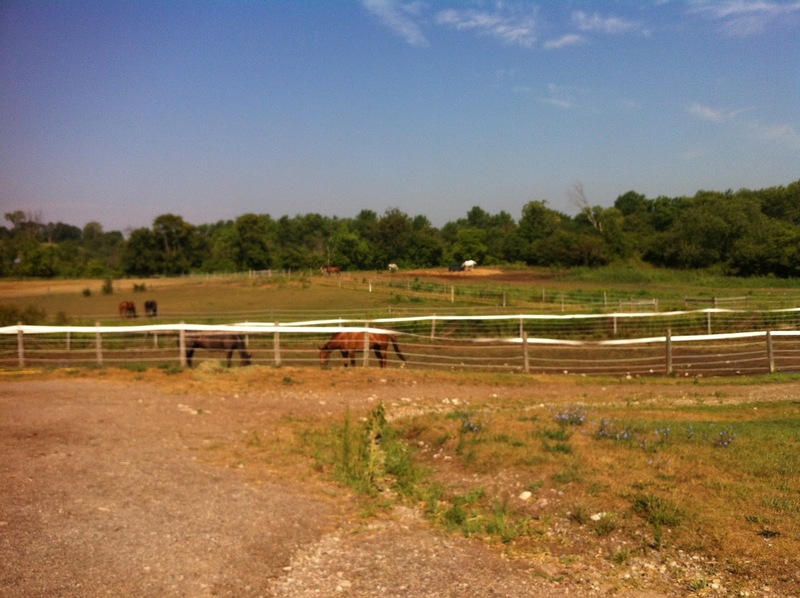 Rich decided he wanted to join me, so on Monday morning we trucked out to the farm! Jennifer McIlwraith is the co-owner and operator of the farm and she was amazing. 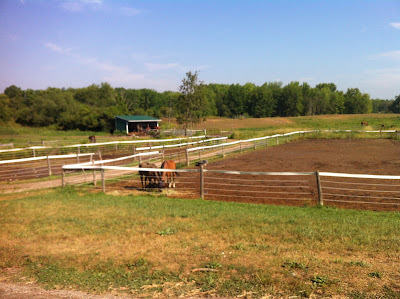 You are responsible to groom and tack your own horse before and after a lesson, and as Rich and I had zero idea what that entailed, she walked us through it and gave us little tips and tricks to make it go more smoothly. 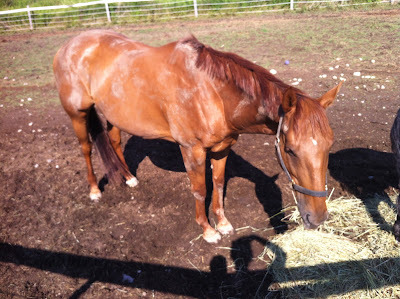 Rich had a lovely chestnut mare named Bella, and I had a gelding named Jed. He immediately sussed out my newbie status and really made me work at it. 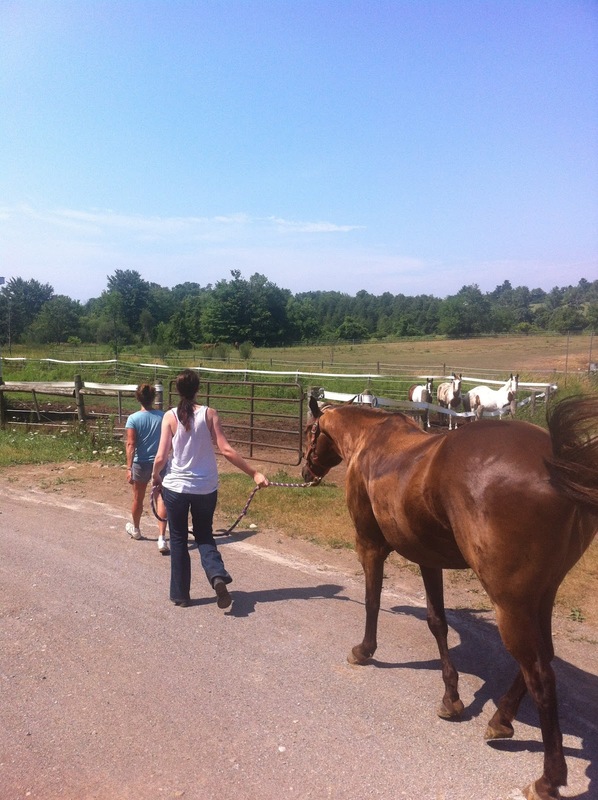 Jennifer took us out and showed us the ropes, and we had a really great first lesson. We worked on steering (do you "steer" a horse? 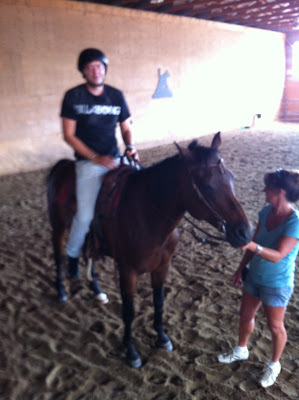 I feel like that may be the wrong term) and Rich got up to a canter on Bella. 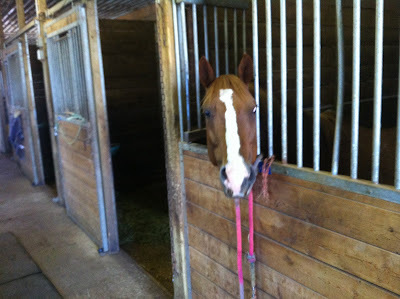 As I mentioned, Jed made me sing for my supper and after much work, I finally got him up to a trot. We had a really great day and we have another lesson booked for this upcoming Monday, and hopefully I can outride Rich this time! (I may bribe my horse with an apple or something to get it to like me). 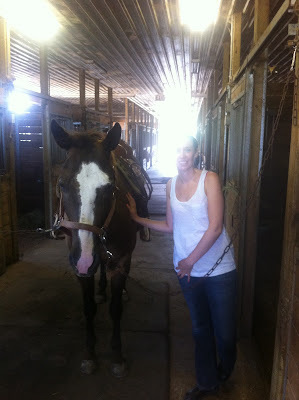 If you've thought about riding, I definitely recommend Jennifer at Double J Farms. She was so patient and very informative and is definitely passionate about what she's doing.